I honestly cannot live without paper towels at home. My kids make mess and spills as though it’s normal – like I cannot think of a day without a spill “accident”. Why do not I use rags instead? Well, it’s unhygienic once you use it for anything wet unless you wash it right away plus did you know that rags are unhealthy for the environment? Aha! Just taught you something new – rags are made of fabric and for cloth to decompose (if not pure cotton) it could take up from 30 to 40 years in total! Paper towels decompose around 2-4 weeks – more environment friendly, right? But, I guess now the question is aside from spills, what else are paper towels good for? 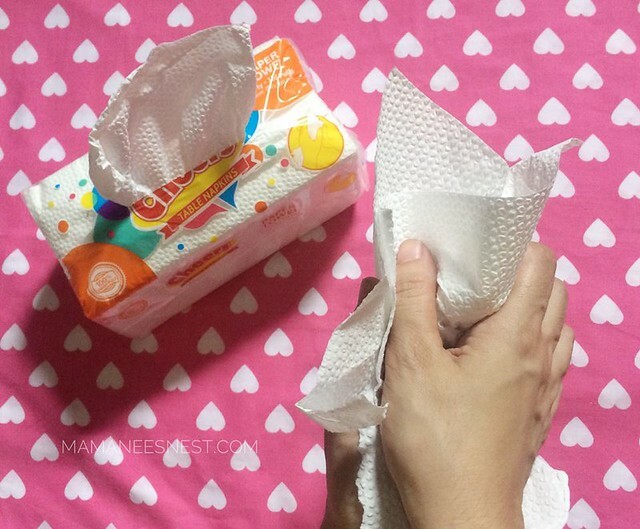 Let me share from experience, how I use Paper towels for my everyday needs. 1. Dry your hands with the Inter-folded paper towels because they are hygienic – there are no artificial whiteners and chlorine. 2. 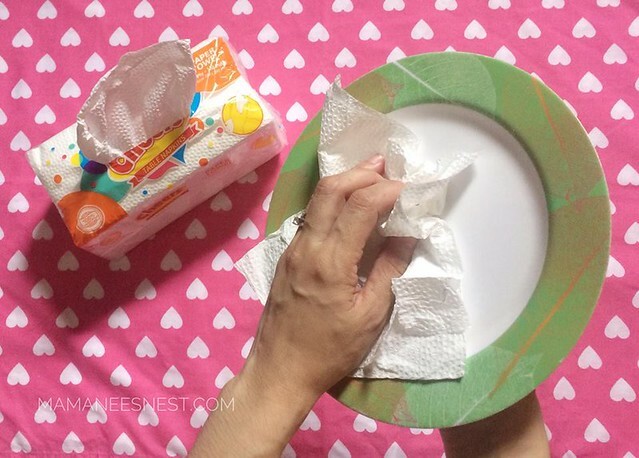 Dry your dishes – since Cheers paper towels are made from 100% Virgin pulp, this is totally BPA free. 3. Drain the extra oil from your food – taking the oil away from your fried food also makes it healthier for you. Now since Cheers Paper towels are toxic metal free since there was no de-inking done while manufacturing it (!00% virgin pulp vs. recycled) then your food is absolutely safe! This Jumbo Kitchen Towels is actually 2-ply, making it sturdy as well (did you notice that cute print?). 4. Wrap your sandwiches in Paper Towels or Cheers Table Napkins – keeps your sandwiches fresh and it’s more environmental friendly versus the sandwich plastic bags. 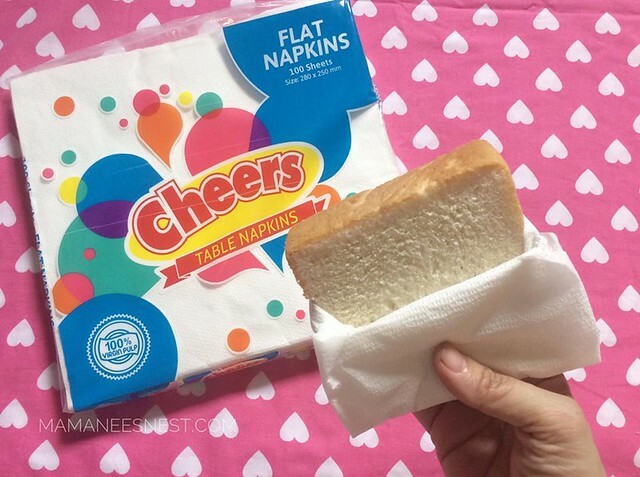 There are so many uses for Cheers Paper Towels and Napkins it’s actually endless plus the Cheers Table Napkins comes in cute designs which is perfect for your parties and celebrations at home. 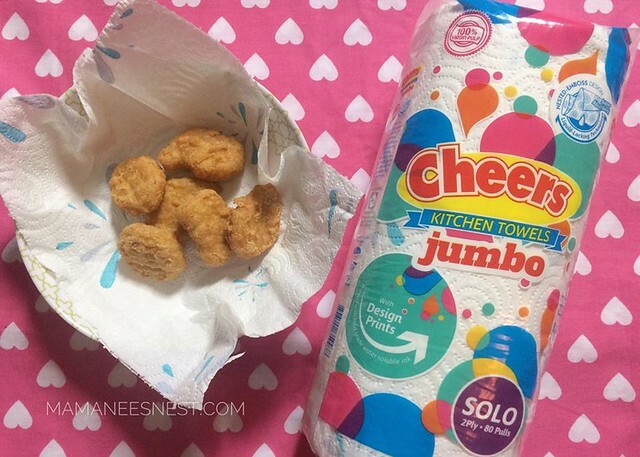 Discover more with using Cheers Kitchen Towels, Interfolded Paper Towels and Table Napkins not only for your special occasions but for your everyday needs. 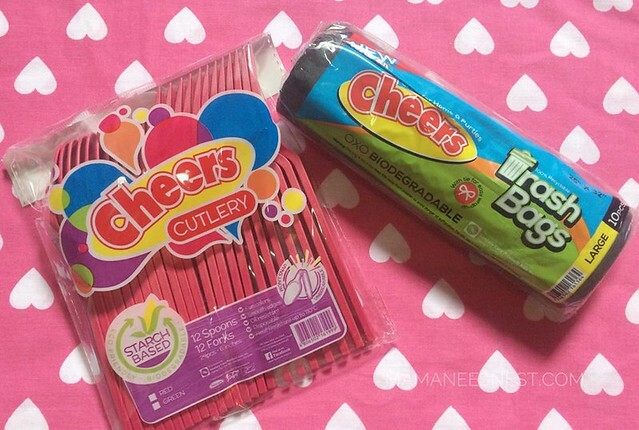 Cheers also offers Starch Based Disposable Cutlery and Trash bags for your party needs! 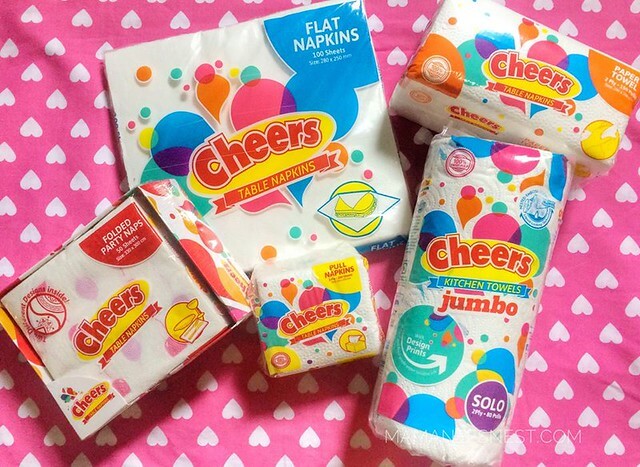 You can find the Cheers line of Party and household needs at your leading departments stores and drugstores.